While many may think the Arctic is just a frigid barren land, it actually holds much of what the world needs today. With an estimated 90 billion barrels of oil lying near the Arctic Circle, oil companies have long been after this lucrative area. With oil a top resource throughout the world, it has been used rigorously throughout the course of our existence. With that said, this region remains the last unexplored area that is said to contain oil. So yes, in the Arctic lies the last untapped oil source. While that could sound frightening, it actually isn’t. Oil remains abundant for the time being and should anyone ever begin to drill here, we should be sure to have plenty more. With drilling technology advancing at a vast pace, we are able to drill for more oil at a faster pace. As we continue this process, while we are getting to the oil we need quicker, it also means we’re losing more oil that is left available to us. As climate continues to ever so change, people are fearing that with ice caps melting in the Arctic, we may never have a chance to get to said oil. While it may seem so simple to just go there and drill, it actually is not. Oil companies need to acquire the right equipment and permits in order to drill and many different companies have had their problems along the way. For example, Shell failed to acquire permits in time and saw their oil spill containment dome demolished during testing. Before entering the Arctic, where essentially the most important abundance of oil currently lies, these companies really have to have everything set up and ready to the max, or they can fear the responsibility for squandered oil. Ultimately, after a two year hiatus, Shell plans on making a return to the Arctic more prepared this time around. Whether or not they make it to the actual drilling stages, Shell estimates that they’ll spend roughly $1 billion on its Arctic program. For more on this article, check this out here. For more, please visit Dr. Larry Mayer‘s official website. An Inconvenient Truth, the infamous Al Gore documentary where he spoke about Global Warming and the almost certain fate of the Earth. According to Gore, the polar ice caps would melt out by 2015 due to the rapid change in temperature causing harm and potentially killing various species and could harm the Earth as a whole. Although, Gore’s predictions of Earth’s fate was way off as we closed out 2014. In fact, the arctic sea and ice levels have remained stable for the past couple of years which is fantastic news. According to the DailyCaller, “Arctic Sea ice levels are above where they were at the same time last winter and are well within the the standard deviation of the 1981 to 2010 variation, according to daily sea ice data. Europe’s CryoSat-2 satellite found that sea-ice volumes for the fall of 2014 were above the average extent for the last five years.” Also, researchers and experts of the Arctic such as Dr. Benny Peiser, director of the Global Warming Policy Forum, claimed, “Global sea ice is at a record high, another key indicator that something is working in the opposite direction of what was predicted. Most people think the poles are melting… they’re not. This is a huge inconvenience that reality is now catching up with climate alarmists, who were predicting that the poles would be melting fairly soon.” Even though Gore’s predictions on the melting of the polar ice caps were off, many still believe we may see the ice begin to melt at a rapid pace. While many scientists remain optimistic that that ice caps will continue to remain at this level, some believe we can see the arctic ice free by 2030 if the rate of Global Warming continues. 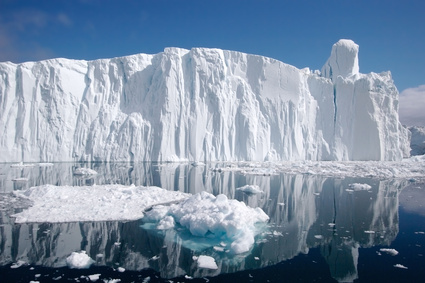 Environmentalists at the Center for Biological Diversity stated, “The Arctic could be ice-free as soon as 2012. It wasn’t. Now, the group climate scientists say the Arctic could be completely ice-free in the summer by the 2030s. Scientists also argue that future global temperature rises will continue to shrink the Arctic until it is ice-free, maybe even in our lifetimes.” These environmentalists have mis predicted in the past but seem very confident about this new guess that by summer of 2030 we will have no ice in the Arctic. Hopes are we will out live this new prediction of 2030 and continue to keep our polar ice caps stable. For more information on the topic, please visit the DailyCaller‘s article. Also please visit http://larrymayerunh.com for more information about the Arctic and the Ocean.